Google today updated its Project Fi service in order to make it a better option for families. The service now allows parents to add children under the age of 13 to Project Fi group plans using the Family Link tool. Parents will be able to manage their children's data usage, such as set limits and add account alerts. 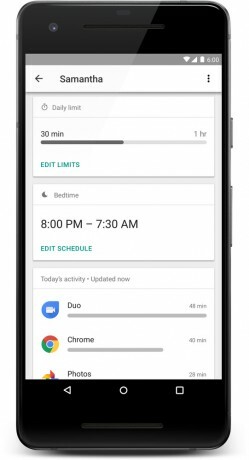 Family Link lets parents set limits on app and device use, as well as manage content filters for Chrome, Search, and other Google services. Project Fi subscribers need only tap into the Family Link app to get started. Google recently expanded the number of devices available to Project Fi subscribers to include the new LG G7 ThinQ and LG V35 ThinQ. LG today said it has commenced sales of its flagship G7 ThinQ phone in its home market of South Korea. The G7 ThinQ, announced earlier this month, is a premium metal-and-glass phone with a super bright 6.1-inch screen, Snapdragon 845 processor, AI-assisted dual rear cameras, BoomBox speaker, and Android 8 Oreo.